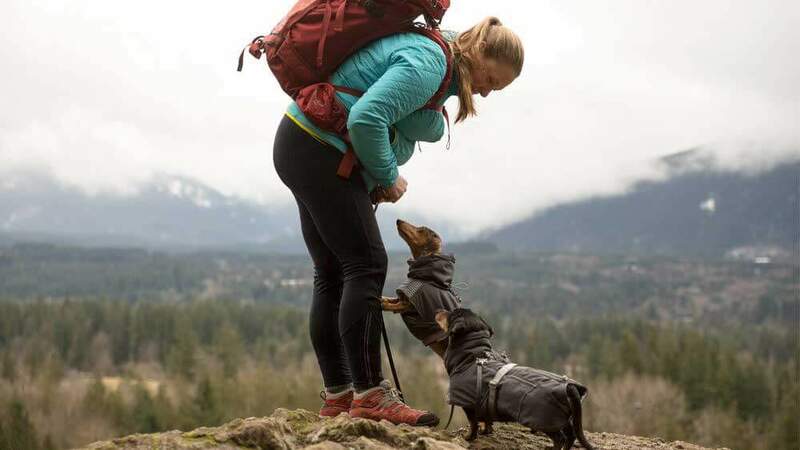 These short-legged hikers lead their owner to new heights. The old Mailbox Peak trail is on the bucket list of some Seattle-area hikers. Its steep, root- and rock-filled path is bold, to say the least, climbing nearly 4,000 feet skyward. For a human, reaching the peak is a badge of courage that likely comes with some fatigued thighs. When you’re a dachshund? Now, that’s a different story entirely. 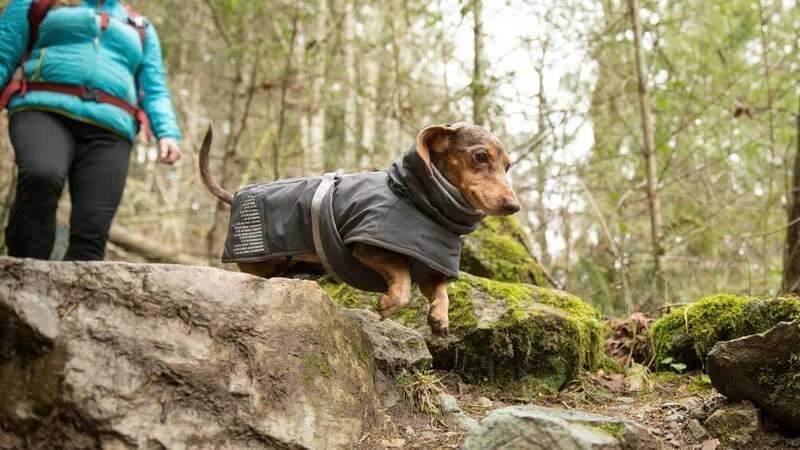 Meet Gretel and Chester: two small dogs that go on big adventures. They hike through sun, rain, ice, and snow, leading owner Jessica on a transformative journey. 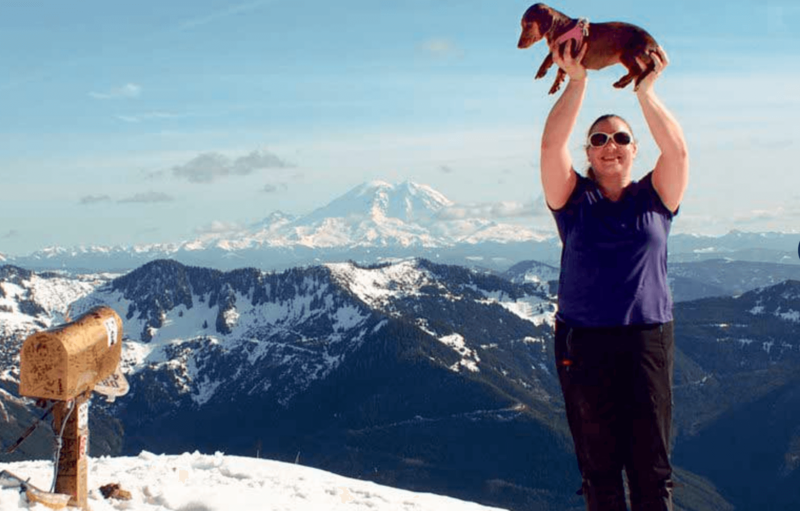 The dachshunds erase short-legged stereotypes along the way, by reaching the top of Mailbox Peak and similar heights. And they inspire fellow pooches (and Jessica) to do the same, all from just a foot above the ground. “I changed my whole life because of them,” Jessica says. To see how far these two dachshunds have come, we must begin with dog number one and those first hikes. Chester trotted into Jessica’s life by chance. He belonged to her roommate, who often left town for work. Jessica helped raise him from puppyhood, and when the time came, she offered to keep him permanently. She enjoyed hiking and took Chester along, unaware of the perception that short dogs are indoor dogs. Chester, now 14, was 8 when Gretel came along. Jessica daydreamed about a second dog, visiting rescues and looking at websites from time to time, using those searches as an escape from a job that frustrated her. When she happened upon Gretel’s picture while at work one day, she immediately fell in love. Her application to rescue Gretel was approved, but she debated it for a few days. Would the dog fit in? Would she like to hike? Or get carsick?And then there was Gretel’s messy past.The dachshund was shockingly skinny, often anxious, and reportedly aggressive at times. She was between 8 and 11 months old and had already lived with several different families (including one owner who hadn’t been honest about the dog’s past) before arriving at the rescue.Jessica questioned whether she could care for a dog with special needs. But with the support of her husband, she went for it. When Jessica picked her up, Gretel was taking anti-anxiety pills.The next day, Gretel ventured on her first hike, and Jessica’s life changed forever by following two dogs’ lead. Jessica had wondered whether Chester’s hiking prowess was just a fluke, but it didn’t take long for Gretel to quiet that thought. Gretel set out on her first hike from the bottom of Heather Lake trail, traversing streams, rocks, and roots. Halfway up they hit ice and then snow, but Gretel kept following Chester’s lead. Seeing her two dogs enjoying themselves, Jessica had a thought during the hike: She was going to start a blog, something she’d pondered before, and write about hiking with dogs. And that’s what she did. Gretel and Chester are the stars of the blog, featured in tales about hiking with dogs and traveling adventures. 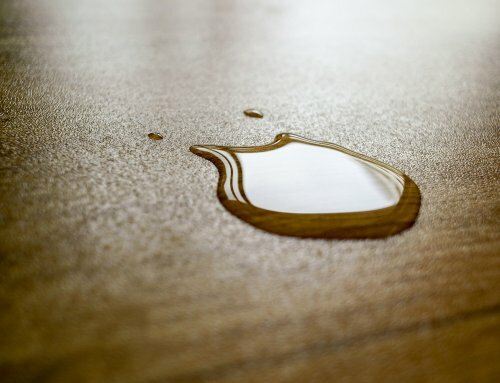 There are posts about them paddle boarding (they wear life jackets and, yep, have fallen in a time or two) and lists of their favorite doggie products (they’re partial to natural mini treats on the trail). Hiking with dogs kept Jessica motivated and helped her learn a lot about herself. Because of the blog and the dogs’ love of adventure, she realized she wanted to hike more, and spend more time with friends and family. As she continued to document her short-legged companions, she realized her office job wasn’t really working. In the six years since the blog began, Jessica quit her job in environment protection, got her master’s degree, and started her own social media consulting business. None of it possible, she says, without the influence of Gretel and Chester. “They really just changed the way that I live my life and what my priorities are,” Jessica says. Life changed, and Jessica’s house did, too. When they’re not hiking, the dogs spend their days hanging with Mom in her home office. 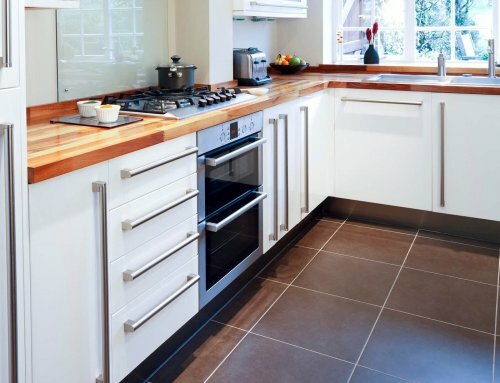 One look at their house, and it’s obvious the dogs come first. There are reminders of the dachshunds everywhere, from original artwork on the wall to dachshund figurines, sculptures, and more. The couple has their box spring and mattress on the floor, without a bedframe, for the sake of the dogs. 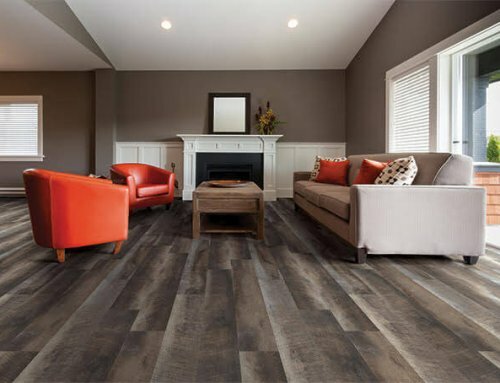 The living room couch features a ramp, a safer, short-legged option for getting on and off the couch. “It’s really important for them health-wise to have that because we didn’t want to deny them the couch, they love the couch,” Jessica says. While Jessica’s life was changing, Gretel’s was, too. 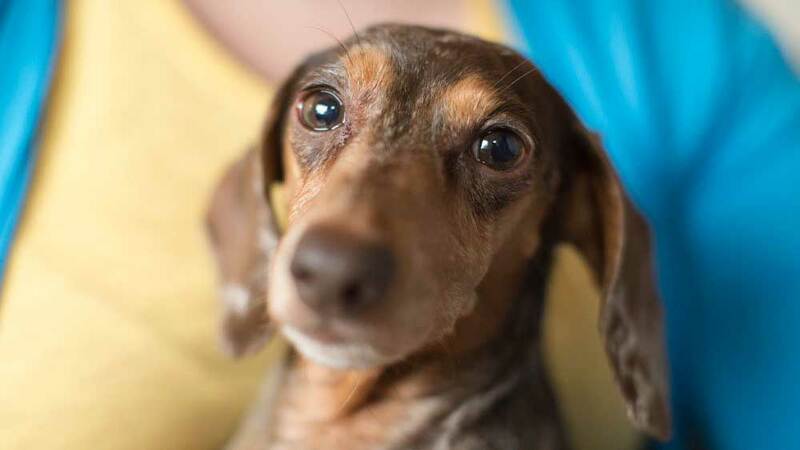 More than five years after coming to live with Jessica, Gretel hurt her back and was diagnosed with Intervertebral Disc Disease, a genetic disorder common in dachshunds. What followed was as challenging as any hike: eight weeks of crate rest combined with medicine and therapy under the watchful eyes of a rehab specialist and Jessica. That included careful exercise, cold laser therapy (where light is used to help speed healing), acupuncture, and underwater treadmill walking. At home, Jessica and her husband made adjustments to keep Gretel comfortable. She carried the dachshund outside to use the bathroom. Gretel slept in bed with them, one end of a short leash attached to Gretel’s harness and the other wrapped around Jessica’s leg so Gretel couldn’t jump down. Gretel went on walks while sitting in a doggie stroller.And then there were exercises at home. With a balance ball for dogs and other “home gym” equipment, Gretel worked to strengthen her core, back, and legs.“Eventually it became a point where [therapy] wasn’t going to make her better. We had to just get out and start hiking again,” Jessica says. “Her muscles had gotten a little bit weaker, and we had to build that back up. I basically had to teach her how to walk again.”After getting the OK from the rehab doctor a few months after the injury, Gretel headed back to the trails, chasing birds and bounding through the grass on her first hike. More hikes gradually followed. As for her anxiety, hiking helped Gretel build her confidence. She hasn’t been on anti-anxiety medicine since Jessica first got her. Gretel remains cautious around other dogs and people, but when she’s hiking with dogs on the trail, it’s a different story. Hiking with dogs often draws attention. When the dogs have short legs, that attention isn’t always positive. Gretel, Chester, and Jessica have heard the comments from passersby on the trail. The stereotypes are a motivator and the main purpose of the blog. By detailing Gretel and Chester’s adventures on the trail, Jessica is challenging people’s beliefs that small dogs are only lap dogs and promoting fitness for pooches and their people. 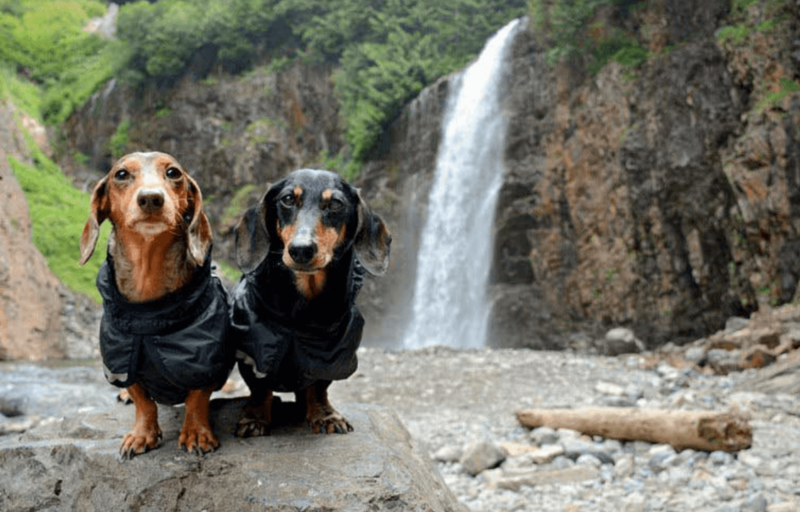 Gretel and Chester are also the superhero mascots behind the Adventurewiener Club, helping to lead monthly walks along a popular Seattle path and participating in other active events that Jessica organizes. 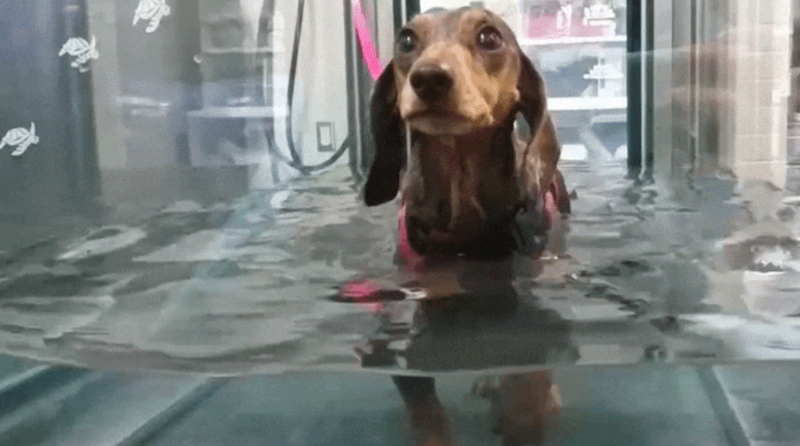 In the summer, events can draw 40 people and 70 or so dachshunds. In those early days of hiking, Gretel and Chester wouldn’t see many other small dogs on the trail. Now they run into chihuahuas, pomeranians, pugs, and other dachshunds. Small dogs aren’t taking over the trails, but their numbers seem to be increasing. 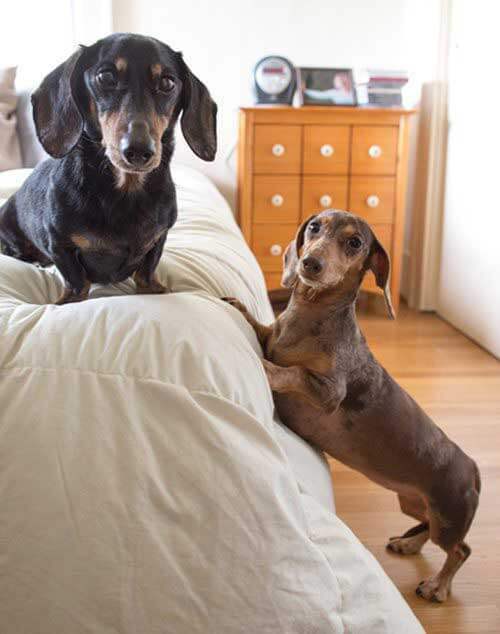 And, of course, small dogs aren’t the only ones these two special dachshunds have affected in substantial ways. Go where adventure leads. 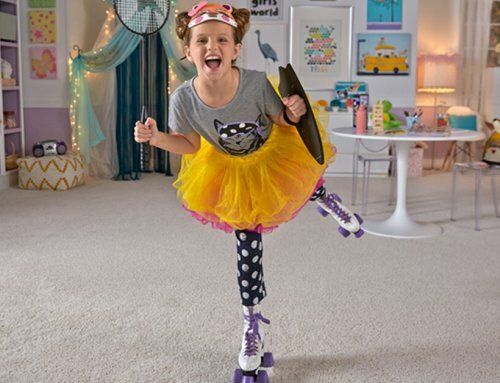 Get the carpet that lets your pets lead the way.